At Vivers JM Vidal we have an agronomist technical department that carries out rigorous quality & safety checks on both the mother plants and the olive trees that we produce at the garden centre. The Agriculture, Food and Environment Department of the Generalitat of Catalonia team perform and audit to make sure that the mother plant fields and the olive trees which we produce are pest-free and verify that we are making a correct use of phytosanitary products. 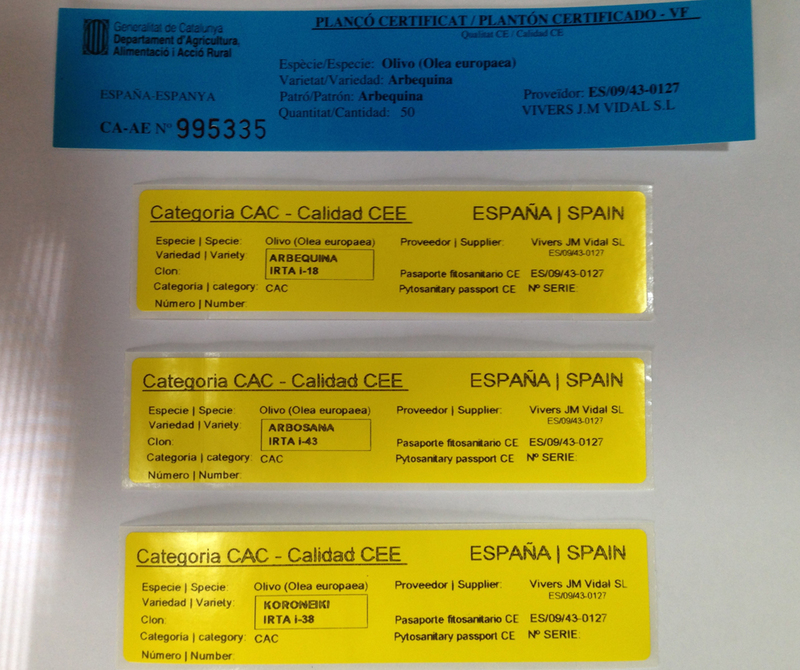 Furthermore, they also carry out certification checks that guarantee the origin and variety of both the CAC category and the certified category that we produce and commercialise. Even more so, the plants that must travel with the phytosanitary certificate in order are inspected by a customs inspector personally, here at the centre.